So guys, a couple of weeks ago, I was out and about on my second pre-wedding shoot of the year with Laura & Dean at a location that I’ve used a few times now for these shoots, Beecraigs Country Park. The guys brought along their dog, Lola and, I know the old saying goes never work with children or animals, well, this time was the exception to the rule with Lola behaving exceptionally well and adding that little extra to the shots every now and then. I do often get asked as to the benefits of pre-wedding shoots – will it make your wedding pictures better…not necessarily. 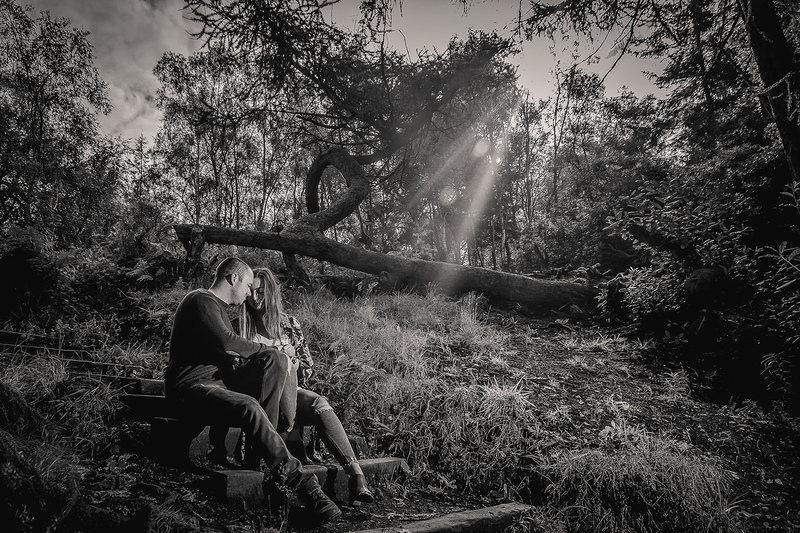 Will it make you feel more comfortable getting your pictures taken come the big day…I think so. Will it get you used to being photographed…absolutely, and that’s a big plus. I see the pre-wedding shoot as a kind of dry run and a testing ground. We get to try out a few different types of shots and you can then tell me which ones you like and those that you’re not so keen on…and that’s a win-win come the big day :-). And, of course, you get to keep all the pictures from the shoot and also have the option of adding on a signing frame. Just as you close the door on one year, before you know it, another one is upon us and I’m off and running once again shooting a whole host of fabulous weddings and, let’s not forget, the odd pre-wedding shoot…and that is exactly what this year kicked off with, as I made the short trip up to Stirling for Jane & Nicky’s pre-shoot mid January. 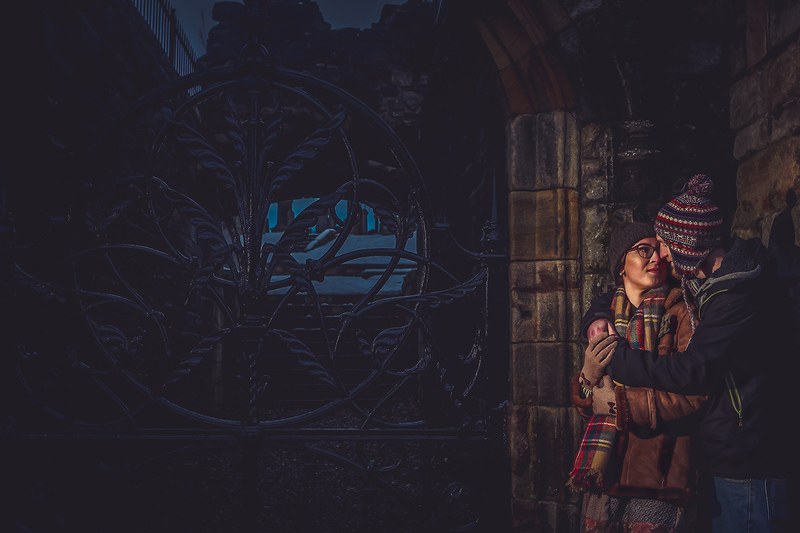 I’d done a few shoots before around the castle grounds and it’s a great backdrop to shoot in…all cobbled streets and that and, did I mention, although you may have spotted it already…snow!!! Yep, the white stuff had been around for a day or two giving us that added dimension to the shots…as well as providing a few quirky moments towards the end of the shoot. 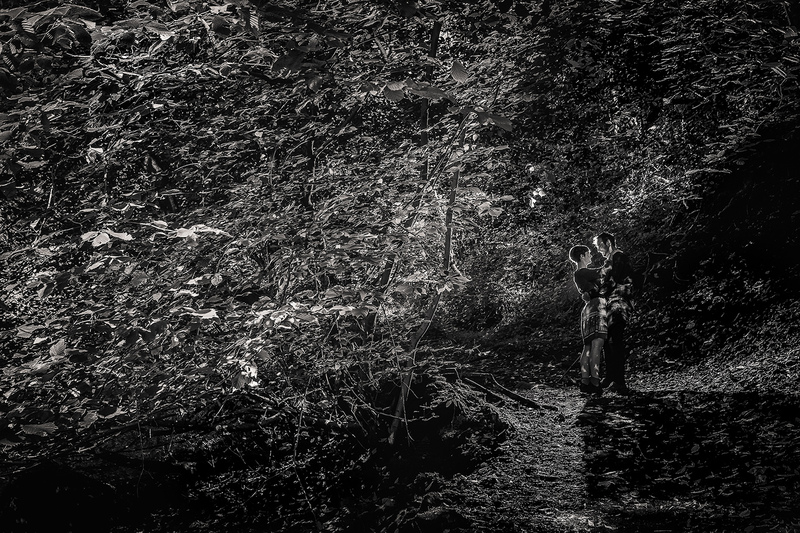 A couple of months back, I was out on yet another pre-wedding shoot…this time with Kara & Louis at the very picturesque Dollar Glen, which the guys had chosen and which also was, unless my memory is playing tricks with me, the very place where Louis proposed to Kara :-). Being the city boy that I am, I kind of wasn’t ideally prepared for the short hike down to the river (although the very name itself “glen” should have told me that we would be going downhill)…a pair of boots rather than a pair of Converse might have been a better choice. But boy was it worth it! You know that they say about busses…none for ages and then two or three come along together! Well, that’s pretty much the case with my pre-wedding shoots this year…hadn’t shot one for a good few months and then I get to do three inside two weeks! 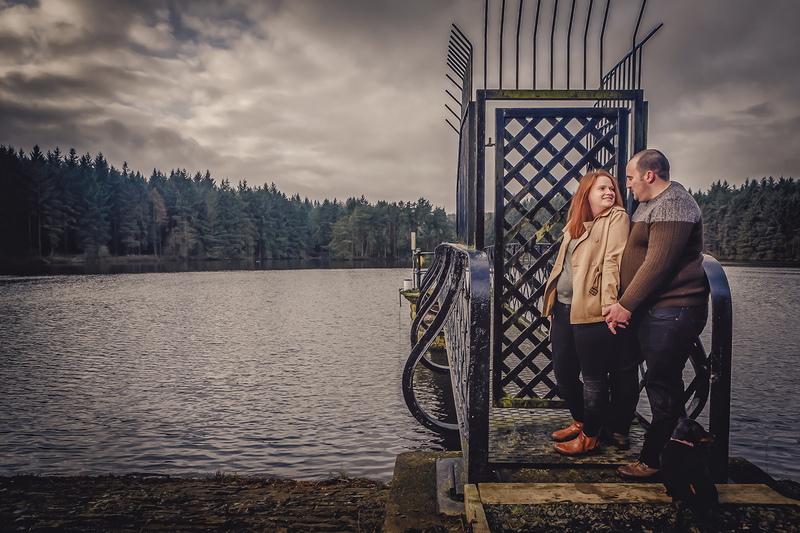 My latest shoot had me down on my second visit to Mugdock Country Park for Nicola & Stevie’s shoot, which was hotly followed on it’s heels with their actual wedding just a few weeks later. For anyone that hasn’t been to Mugdock, it is a fabulous place for a shoot and we were also lucky enough to be blessed with some glorious sunny weather on the day as you can see from the images below. 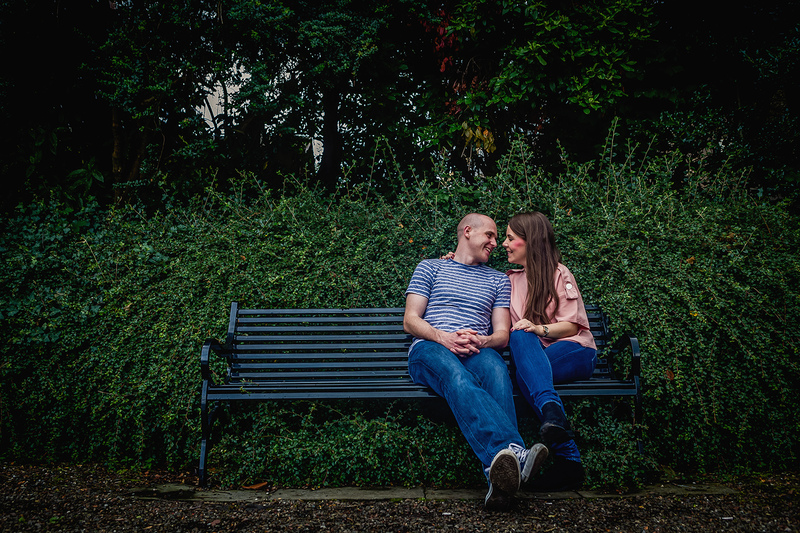 Wow, I’ve just realised that it’s been quite some time since I posted any pre-wedding shoot images on the old blog. I guess that is in part due to the fact that I don’t shoot as many pre-weds these days…not since I made it an “add-on” to my wedding collections rather than being included in all of them as it was back in the day! Julieann & Greg chose to head down to one of my favourite spots for their shoot, South Queensferry to be exact…probably done more pre-weds here than anywhere else down the years and with good reason…fabulous place to shoot. The session actually took place back in August (yes, such is my blogging back log – at least that’ll keep me busy over the winter months when the weddings tail off a wee bit)…the guys are actually married now and I had the honour of shooting their wedding a few weeks ago, so watch out for that being featured on the blog very soon :-).